Another great option for dessert this Thanksgiving. Holidays are in full effect. I have been testing lots of recipes. This was a huge hit on my thanksgiving table this year. 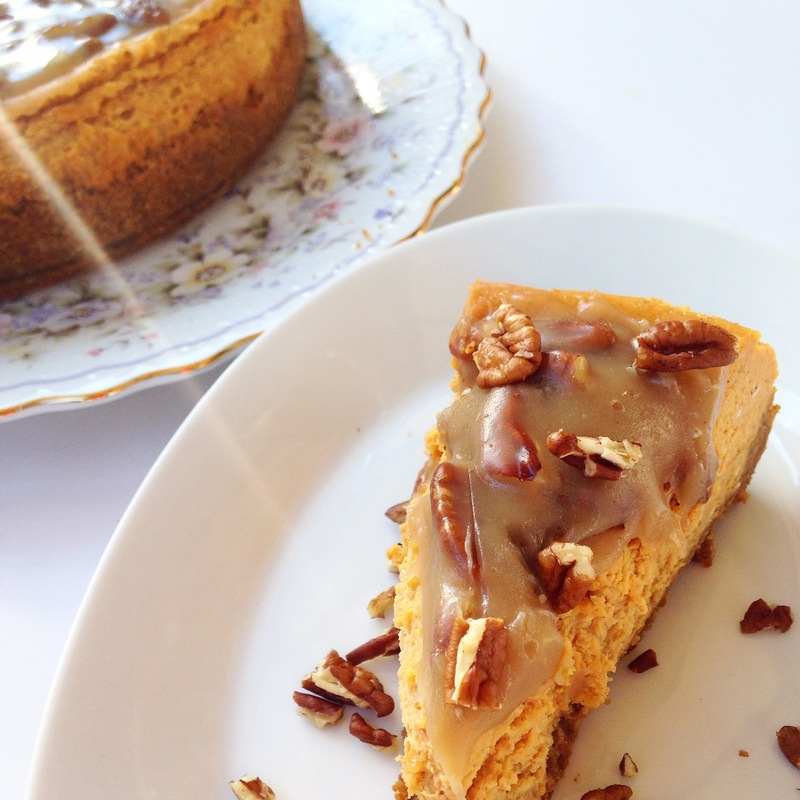 I love a good New York cheesecake but wanted to try creating a pumpkin cheesecake with a pecan glaze. If you’re planning on bringing anything special to a holiday party or even if you just want to have something sweet at home, this is the perfect dessert. Enjoy!